Optical coherence tomography (OCT) has important potential advantages for fast functional neuroimaging. However, dynamic neuroimaging poses demanding requirements for fast and stable acquisition of optical scans. Optical phase modulators based on the electro-optic effect allow rapid phase modulation; however, applications to low-coherence tomography are limited by the optical dispersion of a broadband light source by the electro-optic crystal. 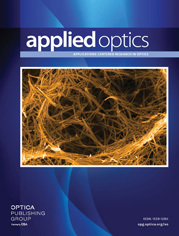 We show that the optical dispersion can be theoretically estimated and experimentally compensated. With an electro-optic phase modulator–based, no-moving-parts OCT system, near-infrared scattering changes associated with neural activation were recorded from isolated frog retinas activated by visible light.